The Bill and Melinda Gates Foundation will review the applications, and the projects with the most potential will have a shot of receiving $1 million in additional funding. 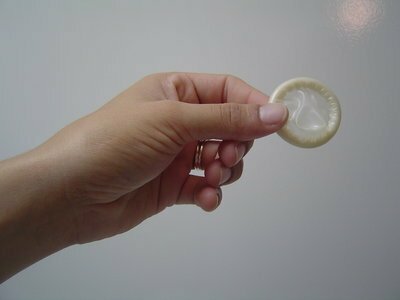 Do you have a great idea for a state-of-the-art condom that increases sexual satisfaction? Condoms have changed very little over the past 50 years, although our understanding of materials and neurobiology has increased substantially since then. Bill Gates has promised $100,000.00 to the student, scientist or entrepreneur who designs a state-of-the-art condom. The Bill and Melinda Gates Foundation will review the applications, and the projects with the most potential will have a shot of receiving $1 million in additional funding. Gates is hoping for an enterprising individual who is willing to get creative. The ground rules set forth by the foundation say they are looking for a re-invented condom, male and female versions, that “significantly” preserve or enhance pleasure and are easy to use. Condom use is a comprehensive, effective and sustainable part of HIV prevention and treatment. The Bill & Melinda Gates Foundation points out that more than 33 million people around the world are living with HIV. More than 30 million people have died from HIV-related complications since the 1980s, according to reports by the Science Recorder. Applications for Round 11 of the Grand Challenges Explorations initiative are currently being accepted. Subject: LongIsland.com - Your Name sent you Article details of "Bill Gates Will Give You $100K for a Better, State of the Art Condom"